The day of the doctor..the 50th anniversary episode of Doctor Who was one for the ages. Ever since Doctor Who came back on air 7 years ago we have all wondered about the true fate of Gallifrey…and sure we had that episode where Timothy Dalton comes in as the President of Gallifrey which is time locked..but lets forget that for a moment. This new moment Gallifrey Lives. 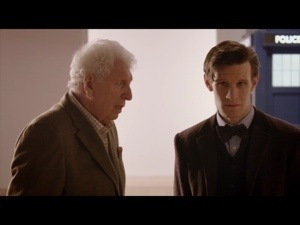 And for the first time in more than 25 years we have seen the great Tom Baker return in a Doctor Who episode. I screamed with joy when I saw the 4th Doctor!